Last week I wrote about Delta’s cabin rebranding efforts, but I failed to really grasp something that is likely going to become a big issue. The lowest fare, Basic Economy, is going to roll out into more markets and become much more restrictive. It’s structured in a way that virtually guarantees a segment of people who buy it are going to be really pissed off. Those who may not understand what they’re buying have no way to remedy their situation. Not even ultra low cost carriers like Spirit do that, probably because it doesn’t make financial sense to do it that way. Basic Economy was introduced a couple years ago as an anti-Spirit move. Delta wanted to compete with Spirit’s low fares, but it also wanted to give travelers a reason to pay the prevailing rate. So Basic Economy, with restrictions, was born. Delta was simply dipping its toes in the water when Basic Economy launched. But with ultra low cost carriers growing incredibly quickly, the time has come to ramp things up. The fare still won’t be in every market, but it’s become a core part of Delta’s product offering. And the list of restrictions is growing. With Basic Economy, you cannot change your ticket for any fee (not even a same day change to an earlier flight). You also can’t get an advance seat assignment. You get it at check in and you can’t change it. You board last, and you can’t even pay for priority boarding if you want it. Elites get limited special privileges. Most importantly, they can’t upgrade to First domestically even if a seat is open. That is incredibly restrictive, so you would expect a huge discount. But at this point, it’s tiny. The fare difference is $10 each way. At least if you book it on Delta.com, it’s easy to understand what’s happening. The most restrictive rules are posted at the top of the column, and if you click at the top, you’ll get the full comparison. Will people still buy this and not realize what they’ve done? Sure. But Delta is being fairly clear here. On the other hand, what if you book at an online travel agent? Well, that’s where it gets uglier. Orbitz only shows the Basic Economy option, but when you click through, it spells out the restrictions and gives you a $10 upsell. Priceline also only shows the Basic Economy option but when you click through, you have to initial saying you understand that you can’t change your ticket and you can’t assign a seat in advance. (None of the other restrictions are noted, so that’s not good.) Then there’s Expedia. Expedia actually downright lies about how this works. Surprise, you’ve been put into Basic Economy. And look at the bottom right. It actually says that the ticket is changeable for a $200 change fee. Further in the process, it tells you the change fee again, and if you click the fare rules, it just says they aren’t available. Wow. Something tells me Expedia might be looking at a fine from the DOT here. But let’s get back to the point. With a product like this, you’re going to have a certain number of people who don’t really pay attention to the full details of what they’re buying. There will be few of those on Delta.com, slightly more on Orbitz and Priceline respectively, and probably a ton on Expedia. No matter what, there will be a group of people who don’t quite get it and are looking to fix the situation. Here’s where it gets ugly. Spirit’s CEO Ben Baldanza told me long ago that tickets booked through online travel agents were about a quarter of the airline’s bookings but 100 percent of the complaints. I’ll assume that’s an exaggeration, but you get the point. People book through online travel agents and don’t get the same level of information that they get when they book directly. But here’s the thing. With Spirit, at least there is a remedy. If you need a carry on, you can pay for it. If you want a seat assignment you can pay for it. Everything you might want is available for purchase. You might not be happy about that and think it’s extortion, but at least it’s an option. That’s not what’s happening with Delta. If you buy a Basic Economy fare, you can’t pay more to change your ticket. You can’t pay for a seat assignment. You can’t pay for priority boarding. You’re locked in. That means if you’re unhappy about how Spirit does things, you’re going to be downright livid about how Delta’s doing it. If you don’t fully understand what you’re buying (and you know plenty of people won’t), then you’re out of luck. You are stuck with what you bought. The Basic Economy fares are only offered at lower fare levels (it’s not just $10 off any regular coach fare, only the cheapies) so it’s not like a change fee is even really that important. You’d be better off throwing the ticket away than paying a $200 change fee on many of these. But if you want a seat assignment or you’d like to board earlier, you simply can’t have it. That seems dumb to me. If someone later decides they really want a seat, go ahead and charge them $20 for it, Delta. Why wouldn’t you? It makes the airline more money than if the traveler bought the more expensive Main Cabin fare in the first place. And it at least gives people an option to get what they want if they didn’t pay attention when they originally bought the ticket. I just don’t understand the rationale for doing this the way Delta is setting it up. It reduces ancillary fee opportunities, and it will piss people off. That’s not a good combination. I’m sure some B-school CFO determined that the airline will actually make more money by not allowing constant changes to the systems offering more predictive inventory and on-time departures. Add in current marketing bozos and together they see this making regular economy appear more valuable The days of the customer first is gone and especially in the bus, I mean airline industry. Most customers have spoken that they want the cheapest fare possible. Don’t complain that the businesses are giving them that. But being cheaper by not allowing them to pay more, even if they finally decide they want to? What’s that saying… oh yeah – let the buyer beware. Cranky, I concur with your points. IMO the simple fix here is to allow changes, seat assignments, etc, but with the fees set at a higher price which in most cases negates the price benefit between Basic and Economy. This way both sides win: if the customer wants to take the chance of booking Basic only to pay more if they have to change, say $225 versus $200 for other classes of service (plus or minus the differerence in fare) – they can. There is also a way out if the fare is inadvertently booked by an online agency. The way it is set up now is punative in a ‘that’s what they deserve’ mentality. The point they miss is that the ‘they’ looking for low fares may be the same folks who also book expensive tickets when needed. That may somewhat begin to erode the broad level of customer support that has driven Delta to its vaunted perch. We’re talkingabput Delta IT. The same people who can never produce a working award calendar. I don’t think you know how this whole “customer support job” thing works. The people you’re speaking to – even the supervisors – don’t have the latitude to just make up rules and accept money from customers for things that aren’t allowed just because they or the passengers think it makes sense. And you weren’t speaking to any policy-makers, just one of the front-line people who has limited latitude in terms of how s/he can support you. That you bought the ticket from a consolidator like Student Universe made your options that much more limited. This will hit Delta particularly hard in its core corporate business. Most of us book on corporate portals that force us to book the lowest price available ticket. So if basic economy shows up for $10 cheaper, I am forced to book it, leaving Delta without the revenue, and me, a Platinum Medallion, frustrated that I cant use any of my benefits. I wonder if they’re going to be filtering these out of the corporate portals and only offering them in the consumer channels? That was my thought as well, though how would that work? Based on Cranky’s screenshot, it looks like Basic Economy is a separate fare basis code. Can corporate portals be set up to ignore specific fare buckets? At my old job, I don’t think our portal could do that; it was Orbitz-based, and by default would just return whatever the cheapest fare bucket was for a particular itinerary. You’d have to call the call center if you wanted to override with a specific higher bucket (and either pay the difference out of pocket, or hope expense compliance didn’t find out). available and E isn’t, then you’ll only see the regular coach option only. regular coach options at the higher fare levels. I’m sure my employer doesn’t care if I get upgraded. Saving $10 over thousands of segments each day adds up fast. Hopefully Delta will talk them out of it as part of the negotiated rates. Your employer may not care about your upgrades, but my guess is they do care about the whole nonrefundable/nonchangeable thing. I doubt many corporate travel departments are going to want to completely throw away tickets every time a client needs to change a meeting. It only takes a few of those to eat up any fare savings, especially at only $10 a pop. @MeanMeosh. With $200-$450 change fees these days, there are times where it doesn’t matter. The systems aren’t always rational – i.e. telling me to take US Airways for $20 less than Delta, even if I am checking a bag where I get it free on Delta and paid on US. It seems to me like making the E fares only available directly from Delta for everyone (not just corporate travel agencies) would address the biggest issue with these fares (lack of transparency when purchased through other ticket agents) and also drive more traffic to delta.com. Spirit doesn’t show up on online travel agents, so they’re not competing head-to-head for views on Expedia anyway. Hmm; I see that you’re right about Spirit, of course. But I tried searching Expedia for DTW-FLL (a route I know Spirit serves, confirmed on their web site) and Spirit didn’t show up. Couldn’t DL very easily put in a fare rule that says the fare cannot be sold by third party travel agents? You certainly understand GDSs better than I. From what I remember, the contracts they have with the GDSs say that they have to offer them the lowest fares they have, and can’t have a lower fare on their website that’s not available through the GDS. Alex, good point.. I wonder if Delta is putting these out there to compete against more than just Spirit? i work for a giant consulting company where a large number of employees fly every week. currently our online booking tool is NOT filtering E class fares. it’s becoming a real pain to try to get a fare that is not an E using that tool. the nature of our business means that we have people who are changing flights. i would think that the company would want to filter E fares to at least enable people to do this and not forfeit the entire fare. I agree, it doesn’t make sense not to charge people for the services they decide they want after the fact. This sounds akin elitism, if you don’t pay enough up front you’re lower class and we will bar you from our benefits even if you find the $$$ to pay up later. 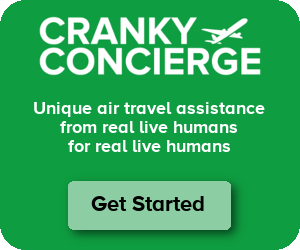 Seems to me that the airlines don’t want to cater at all do the price conscious leisure traveler so they go out of their way to make their “cheap” booking as miserable as possible. Pretty devastating. Great find on Expedia! Someone at Delta didn’t understand this whole unbundling thing. Maybe the reason that the upsells aren’t available is a DL IT limitation? It’s not like they have the most informative or functional website. Yeah. I was thinking it might be an IT limitation that hopefully they’ll be removing soon. The side of the IT stuff that pleasantly surprised me was that the OTAs are starting to move and communicate these things a bit more clearly. Sure it isn’t perfect but four years ago, there would’ve been nothing. They’re not perfect, but at least the IT groundwork has been laid so marketing and customer service can actually tweak the thing better. Why would that be true? DL has the IT to do upsells on every other fare. I expect that it actually took some IT work to prevent upsells from E fares. I presume the bag fee upsell is available. But they don’t want these pax to be able to buy up to Comfort, and they don’t have an upsell for seat selection, nor one from no-changes to change-fees available. I’m sure these fares would require custom IT to make upsells work. At this point, the up sell is the $10 you would pay for the next lowest fare code (V) that gets you a seat assignment. I’m just waiting for families who buy this E fare and get scattered middle seats and then they try to negotiate with other people who paid more for their better seats. That could be very entertaining. I think the real problem lines in when families are on different bookings. It’d behoove Delta’s IT team to first aim to put each booking in seats together. If they can’t do that, then split up the bookings with people older than 20 but younger than 60. The goal here is to keep kids near their families, and older people near their families. Delta knows how old passengers are since they have to provide their birthdate when booking. You are right, and people will get mad since it’s DL (or UA/AA old established carrier). Anyone flying Spirit/Allegiant for the first time as an example have heard or read stories about them and how everything is extra, so may read everything more carefully or just expect to get nothing beyond the price of the ticket. But those who have flown DL before may not, assuming they are just saving $10 (or whatever the difference is) and not read everything since they would be used to DL and paying to change, get a seat, etc. They are the ones who will get really mad and start bad mouthing DL to family and friends, and on Facebook and Twitter. Bad PR for DL, as if the airlines need anymore bad PR they they already get. So I guess DL decided to take the heat and complaints at first until they train travelers to never buy the lowest fare in any market assuming it’s never a good deal. BINGO! DL’s true reason for doing it. The airlines are risking a major backlash from the general public, with lots of lawyers, over pricing, pricing transparency, such that airline service will become subject to the general rules of commerce established by the Federal Trade Commission and DOT’s authority scrapped. Eventually, ticket restrictions against re-sales will be ruled a violation of commerce law. The secondary market will be the rage. Write and give me a ticket and I will be allowed to do with it what I want. What, this ticket has no value? Who says I can’t re-sell it? I own the ticket to ride and you aren’t going to keep whoever has that ticket off that flight, on that plane. Yes, we’ll live with security issues. My name on the ticket today; yours tomorrow. The problem? It doesn’t have to come to all this, but the industry is pushing us into this. At its Investors Day presentation, DL’s Glen Hauenstein stated that 80% of the people who were presented with the Basic Economy option chose Main Cabin instead. Now, that says a lot about the appeal – or lack thereof – of the basic product. Whether intentional or not, it doesn’t seem like Basic Economy will be a “barn burner” of a fare. Basic Economy was clearly created to not appeal to the business/frequent traveler. DL has said corporate clients can request “E” Class inventory (Basic Economy’s booking inventory) be suppressed. Given its rather minimal savings, draconian restrictions, and lack of elite benefits, I don’t think many corporate travel managers will push their employees to book Basic. Employees could probably credibly push back if encouraged to book Basic by pointing out its prohibition against same-day standby. A fare that doesn’t allow same-day standby isn’t all a very logical a choice for a business traveler – especially if the savings are as little as $20 on a round-trip. I think Delta is ruining its reputation here by lowering itself to Spirit’s level. It would be like Whole Foods starting a bargain bin to compete with Walmart. When you book Spirit, you know what you’re getting. When you book Delta, you expect a certain standard, and if you aren’t paying attention, you will be livid that they let you down. The real winners seem to be Southwest & Spirit. Delta seems confused about what airline it wants to be. Does it want to be an airline catering to premium fliers (who are its core market) or a sometimes-bottom-of-the-barrel no-frills carrier (but only on certain routes). Southwest and Spirit are much more clear in their identity. The next step (and it will be coming) is that these fares won’t be eligible for miles. It also seems like it will lead to not only complaints against the airline, but also outbursts against the airline employees, gate agents, and flight attendants. How is Delta going to be a “no-frills” carrier? Nothing about its onboard experience has changed. Basic Economy fare passengers receive the same onboard experience as all other “Main Cabin” passengers. Well.. Delta is continuing to work on the old idea that American came up with in the 80s. They figured out you could compete with the leisure charters by putting them on the same plane and just tweaking the pricing rules.. Delta is doing the same thing, the leisure market has just gotten that much cheaper. That’s a pricing strategy, not a product strategy. Why can’t it be both a pricing and a product strategy? I’m guessing Expedia will be on the hook to actually honor changes for $200. As a travel agent with direct access, they should be able to do so procedurally. They’ll probably upgrade their IT if they end up giving away enough to Delta. They may know this discrepancy and just figure they’ll spend less this way–honoring the changes for $200. Delta at their investor day mentioned that 80% of the travelers click thru and buy the higher fare i.e. economy instead of basic economy. Essentially a smart way of making sure you appear price competitive for the tier of travelers looking for s seat and no more…and not losing the other economy passengers to Spirit. I think another problem is that the various online travel agent sites are showing the Delta E class fares up front in search results, meaning Delta will appear to be cheaper than United and American. It will in fact BE cheaper if you’re willing to accept the minimalist product they are offering (“Just get me there, darn it!”). DL claims this is to compete with the low fair guys like Spirit and Allegiant, but it will also give them a leg up over their cousins at UA & AA, which means you can expect to see those two copying this move soon to get back on equal footing in search results. If DL keeps this up I’d be surprised if UA & AA don’t at least announce a similar product by end of year. I just walked into the Expedia trap – Our family of four haven’t flown in a while so weren’t aware of the new basic economy class that Delta has. When I called Expedia, the rep says their contract doesn’t allow them to sell the X class fare (so it’s not an IT glitch as assumed in a previous comment above). He offered to upgrade us to the X class, for $200/person plus any fare difference. So they can’t sell X class, but can upgrade you to X class for a fee and make some more money out of you. This is too much money (more than half the original fare), so we declined the offer. Our main concern for upgrading is if we’re only allowed to pick our seat 24 hours before the flight, our 3 year old may end up seating by himself. But for that much money, we’d rather take the chance on paying some fellow passengers to switch seats rather than to a greedy corporate. Lessons learned – best to book directly with the airline. We used Expedia since we were looking for a package deal (fare+hotel+car). We trusted the brand since we have booked with them (on and off) since way back in 2000. No wonder the industry is consolidating, it doesn’t make sense anymore to book trips through online travel agent when the airlines themselves can offer you the same service. Dissed in MN, did Expedia not advise you that you were booking Basic Economy? On Delta’s website, the customer must check a box acknowledging the various restrictions/limitations associated with the fare. Wow, I didn’t expect anyone would respond (and so quickly too). Expedia doesn’t tell us specifically that it’s basic economy, just that a seating chart is not available. We thought this may be an IT problem, since everytime we searched for this route, it generates the same no seating chart available comment. After we realize what happened, just for curiousity, we searched for the same flight but picking “economy premium” under advanced option. This time, Expedia says no flights can be found for that option. Bottom line, my reason for posting our experience here is so other people can avoid the mistake we made. Just want to give an update – we ended up on the standby list just like the other poster below (John). However, the list also says there are still open seat (around 16- 19 both for outbound and inbound) although the seat assignment chart was shown as full. We got to the gates as soon as we could, and luckily both times the agent was able to seat us together, at the last row. Since we travelled with kids, they also let us board early and we were able to find space for our carry-ons. Both flights turned out to be full, they were even looking for volunteers. I’m glad it turned out alright (said a lot of novenas before the trip), but will avoid booking through a 3rd party like Expedia from now on. I booked one of these garbage fares in November under the pretense that I could pick my seat at check-in. Wrong. My seat will be assigned at the gate, and I am currently on the STANDBY LIST. I don’t even know if I have a seat. I just wrote this to Delta. Hopefully they respond. In November 2014, I booked a “basic economy” roundtrip fare. I had the choice of booking through Southwest at the same price, but chose to book the Delta fare to be with my brother, who is a Delta medallion flyer. I was confident when I booked that it would be no different – I plan only to bring a small carry-on for the weekend trip that I can put under the seat in front of me, so I was not worried about boarding last or having no more overhead space. The website indicated (and still indicates) that I would be able to select my seal upon check-in, so I was confident that my brother and I would be able to sit together. This morning at 10:00AM, exactly 24 hours in advance (in hopes the most seats would be available), I went through the online check-in process. When I got to seat selection, the site informed me that my seat would be assigned at the gate. WHAT? The terms and conditions of the fare class state specifically that I can select the seat at check-in. I thought maybe I booked this fare so close to when the E class was changed that maybe everything hadn’t been figured out yet. I was wrong – the website clearly says “seats assigned upon check-in”. I became irate this morning when I took another look at my itinerary and saw that I am THE ONLY PASSENGER ON STANDBY. Do I not have a seat? Am I not going to be on the flight at all? What the hell did I book? Over the past hour, I’ve done some research and found that the complaints regarding this fare class are rampant. Add me to the list. Raised in Atlanta, I have been flying Delta since I was a little kid. My first flight was on a Delta airplane in the late 1980’s. Sad to say, my last Delta flight will likely be this weekend. I simply can’t believe what is going on over there. Delta’s “Basic Economy” fare was the same price as Southwest’s regular economy fare. Despite Southwest’s baggage allowance and seating rules, I chose Delta over Southwest to sit with my brother. I booked Basic Economy because if I was going to have to spend more, I would have just booked Southwest. I booked knowing that I would be last to board. I booked knowing I couldn’t change the ticket. I booked *thinking* I could change my seat at check-in and sit with (or at least close) to my brother. Had I known that I would be flying standby, I would have never made this booking. What you’ve done to my ticket is wrong. It is also in complete derogation of the stated policy of your fare class. I truly hope someone over there has a head on their shoulders and can make this right. I know I bought the lower-class seat, but this isn’t what I bought. Going to be a tough nights sleep waiting to find out.. It now appears that adding insult to injury, you can’t earn skymiles with a basic economy ticket either. I have to wonder why anyone would bother to be a skymiles member if the vendor is now essentially forcing you to pay more for a ticket to earn what is essentially a loyalty award that is provided for selecting a premium airline. This is madness. If I get stuck in these tickets for work, i am done with Delta and I make Platinum status every year. What idiot came up with this brilliant idea? Made the mistake of a life buying this fare. I don’t anticipate changes to my plans and I only travel with a purse and a small backpack so I didn’t have a problem with the restrictions which state “Seats will be assigned at check-in” – I checked in about 23 hours before my flight and was not given a seat assignment. I called Delta twice and the reps said “your definition of check-in may be different than ours.” I replied that, I got an email from Delta telling me to check-in so I am using their terminology. The boarding document I printed says the “seat will be assigned 10-15 minutes prior to departure.” If this restriction was stated during booking I would have never booked this fare. Lesson learned. 23 hours before the flight or 15 minutes before the flight. Why does it matter when you get your seat assignment if you don’t get to choose it? In fairness, if Delta stated “at check-in,” it’s not unreasonable for a traveler to think “when check-in opens.” If Delta’s policy is, indeed, that seats are assigned immediately prior to departure, then they should say so, to avoid ambiguity, customer confusion, and customer dissatisfaction. Cassandra – That’s how it goes if all the other seats are taken already. If they had seats available, they would have assigned them to you when you checked in. What this probably means is that there are seats open in the paid section (toward the front), in Comfort+, or in First Class. So they’ll move some other people around and then get you a seat in the back. I bet this is pretty common. I just became a “victim” of this dumb Delta policy and it is ironic you mention Spirit because I flew on them a couple of weeks ago. I booked a Delta flight through Orbitz and I assumed it was just a normal main cabin fare. My friend wanted to upgrade me to First Class, as a gift, and he couldn’t because, as we both discovered, I am on Delta Basic Economy. I thought there must be someway around this so I called Orbitz and they could do nothing at all. Delta, of course, would not do anything. What burns even more is that I was really ticked off about all of the nickle and dime crap on Spirit but I when I calculate everything they were actually a much better deal. I ended up paying $255 for an assigned seat, exit row s, and one checked bag. As to Delta I am at $261 for just the checked bag. But, to be frank, even if I would not have had someone willing to upgrade me as a gift I was willing to spend more for a better seat. Bottom line is that this policy makes no sense and, as a result, I will most likely fly another carrier for my next trip. I would probably do Spirit again or I might even do United, who does let you upgrade on their website. Like someone else mentioned I think this was some number cruncher, and probably some marketing person, who though this would increase their bottom line. But that logic flies out the window because Delta could set any price point they want for an upgrade. I completely agree! I don’t even want to travel anymore. It is complete BS now and too expensive anyway. Thank you for this explanation. I never had this problem before and have been booking mostly through Orbitz for over 10 years. Although I noticed at the time of booking you can’t change your flight details, I found out later when I went to choose my seats that it wasn’t an option. Next time I’ll pay more attention.